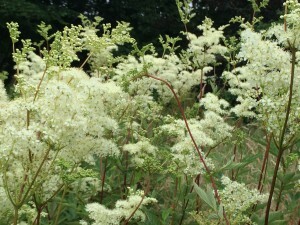 Meadowsweet should be avoided by people with a Salicylate allergy/sensitivity – allergic to asprin. 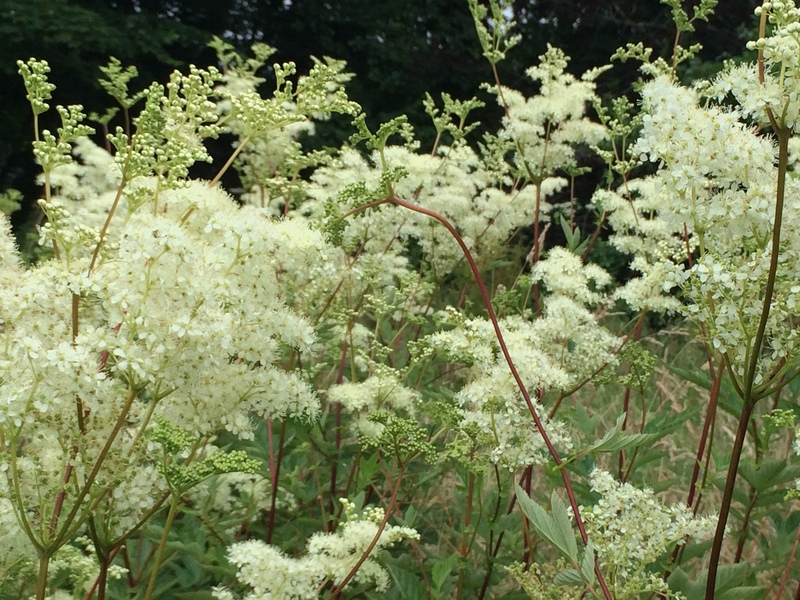 As you amble through lane, field or meadow during these sunshine filled days you will be greeted by the heady scent of meadowsweet. 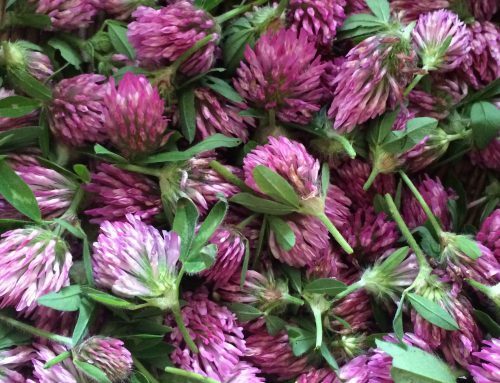 It is growing in abundance this year and I have already eaten one batch of this delicious sorbet. It takes a little time to freeze fully but is so worth the wait. 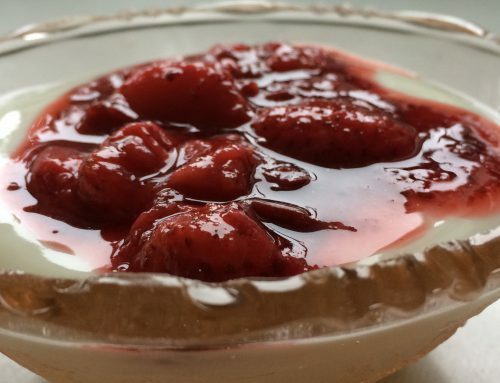 This delicious, light, refreshing recipe will keep you coming back for more. Put the sugar and water in a pan, stir and bring to a boil until the sugar is dissolved. Simmer until your sugar, water mixture becomes a light syrup. Keep stiring. Remove the pan from the heat and add the lemon juice and grated lemon rind. Mix thoroughly. Now add the Meadowsweet flowers and leave to infuse (with a lid on) until the syrup is cool. Strain the syrup through a muslin lined sieve into a bowl/jug, giving it a good squeeze. Pop into a freeze proof container overnight. Take out your frozen Meadowsweet sorbet (it won’t be completly frozen), and blend with a hand-blender or mash with a fork until smooth. Pop back in the freezer for about another 24 hours. Delicious served with summer fruits.